The first Scots came to Milwaukee in the 1810s as fur traders. James Murray arrived in 1835 and became the first permanent Scottish settler in the city. A renaissance man of sorts, Murray was a painter, glazier, and real estate broker. As a Presbyterian, he played a role in founding the First Presbyterian Church in the city. By mid-century, Scots in Milwaukee worked in the skilled trades and owned small businesses. Several Scots found great success in Milwaukee. Born in Scotland in 1817, Alexander Mitchell reached Milwaukee in 1839. From 1864 until 1887 he served as the president of Chicago, Milwaukee & St. Paul Railway Company. During a portion of this time, from 1871 to 1875, he served two terms in Congress. A dominant force in Milwaukee’s banking and insurance circles—he managed the Wisconsin Marine and Fire Insurance Company bank—Mitchell is believed to have amassed a fortune totaling $20 million. Indicative of this wealth, over several years Mitchell purchased houses on the block between Ninth and Tenth streets on Grand Avenue and built a mansion that presently houses the Wisconsin Club on 900 West Wisconsin Avenue. Scots were not a large migrant group, numbering fewer than 2,000 people in the metropolitan area who claimed a parental birthplace in Scotland in 1880 and fewer than 2,500 in 1930. Scots nevertheless built a vibrant cultural presence in the city and region. In the early 1840s, Scots took to curling on the frozen Milwaukee River, which led to the formation in 1845 of the Milwaukee Curling Club. The group selected Murray as its first president. While Scots had joined together in the past for relief meetings—in 1847 Mitchell organized a drive to raise money to support the Scottish homeland as it faced a famine—and “Burns Dinners,” which involved poems, speeches, and toasts along with plenty of spirits and food, the Scots of the city wanted a more formal organization. As a result, a group of Scots formed the St. Andrew’s Society of the City of Milwaukee in 1859 and carried out its duties under the motto of “Relieve the Distressed.” In 1865, newer immigrants who had begun arriving in the 1860s, and primarily worked in industrial jobs rather than as entrepreneurs and businessmen, opened the Caledonian Club because St. Andrew’s Society catered more to businessmen and professionals. The Saint Andrew’s Society continues to support Scottish cultural activities in the area, including the annual Milwaukee Highland Games. Music and dance organizations support bagpipe bands and country dancing. In the early 21st century, about 15,000 people in the metropolitan area reported Scottish ancestry in the census’ American Community Survey. ^ Robert G. Carroon, “Scotsmen in Old Milwaukee, 1810-1860,” Historical Messenger 25 (March 1969): 20-23, 29, 26. ^ “Mitchell, Alexander,” Biographical Directory of the United States Congress website, accessed on December 13, 2014; David Blake Leonard, “A Biography of Alexander Mitchell, 1817-1887” (Master’s thesis, University of Wisconsin, 1951), 90-99. ^ “Urban Spelunking: Wisconsin Club/Alexander Mitchell Mansion,” Bobby Tanzilo, December 19, 2013, accessed on December 13, 2014; “Wisconsin Club-History,” Wisconsin Club website, accessed on December 13, 2014; “A Century of Banking in Milwaukee,” Bulletin of the Business Historical Society 13 (June 1939): 46-47. ^ Tabulated from the 1880 and 1930 census samples, Steven Ruggles, Katie Genadek, Ronald Goeken, Josiah Grover, and Matthew Sobek. Integrated Public Use Microdata Series: Version 6.0 [Machine-readable database]. Minneapolis: University of Minnesota, 2015. ^ “History,” Milwaukee Curling Club website, accessed on December 13, 2014, http://www.milwaukeecurlingclub.com/history.aspx, information now available at History, Milwaukee Curling Club website, https://milwaukeecurlingclub.com/historyPage.php, accessed August 15, 2017. ^ Carroon, “Scotsmen in Old Milwaukee, 1810-1860”: 30; “Relief,” Saint Andrew’s Society of the City of Milwaukee websute, accessed on December 13, 2014. 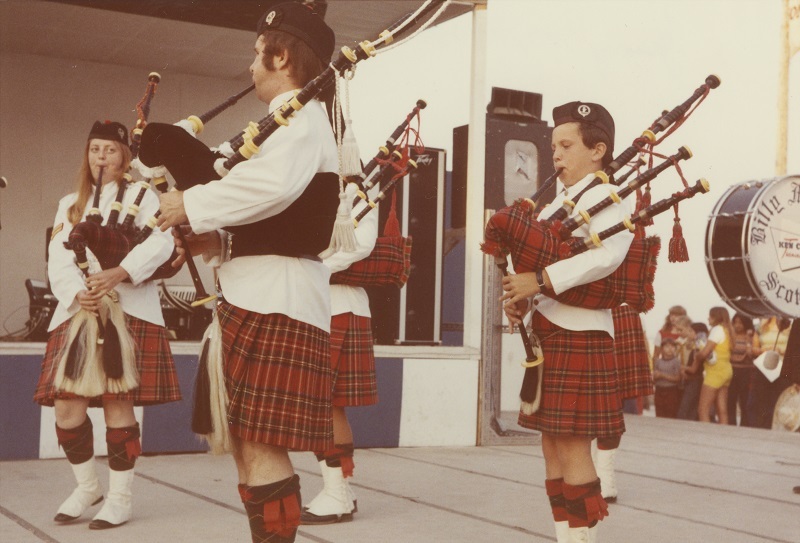 ^ Robert G. Carroon, “Bagpipes and Beer Barrels: The Scots in Milwaukee, 1810-1870” (Master’s thesis, University of Wisconsin-Milwaukee, 1969), 92-93, 100-101. “A Century of Banking in Milwaukee.” Bulletin of the Business Historical Society 13 (June 1939): 44-47. Carroon, Robert G. “Bagpipes and Beer Barrels: The Scots in Milwaukee, 1810-1870.” Master’s thesis, University of Wisconsin-Milwaukee, 1969. Carroon, Robert G. “Scotsmen in Old Milwaukee, 1810-1860.” Historical Messenger 25 (March 1969): 20-33. Leonard, David Blake. “A Biography of Alexander Mitchell, 1817-1887.” Master’s thesis, University of Wisconsin, 1951.